As it was explained in the first part of this article, you can "postpone" the execution of a long task by sending it to a queue. That will help to to speed up your application for the end user as he does not have to wait for your task to complete. The task is queued, your users have better experience with your sites or apps. The only thing left to implement is to process the tasks in the queue doing the actual work. 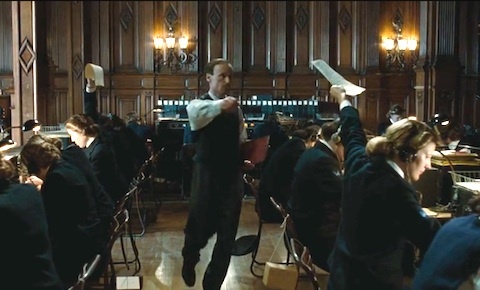 If you remember "The Imitation Game" movie, there were special workers,— a group of ladies, who were given each a deck of papers to decode, and as soon as a paper was decoded, it was given back to the manager. That is a perfect example of "a worker" or "queue processor". This is a simplified example of code, as it processes a single job per run, and the step number 4, report the results, is not implemented yet. Now let's implement a real life example. The queued items are to send a notification email to a user after successful subscription, purchase or something like that. status field equals "queued" value by default— that means that a job is queued and is waiting for the processing. When we take an element from the queue to process, we change this field value to "processing". If the processing was successful, we set this value to "done", otherwise to "failed" and log the error message. From my experience it is best to log the timestamp when the item was queued and the timestamp of the last status change. This is saved in created_at and updated_at fields accordingly. When we just create a new record in this table, we set created_at to equal to current time. And every time the record is updated (say, we change the status field), the updated_at field gets updated automatically — it's a trick of MySQL for TIMESTAMP fields that have "ON UPDATE CURRENT_TIMESTAMP" setting. Now let's write the worker. It needs a reference to database handler as well. There are a few ways to improve this system. For instance if you need to process more than 1 item per run, like for instance 10 or 20, items you need to change Queue::getItem() method, pass a $number parameter as the number of required jobs to process, and change "LIMIT 1" to "LIMIT $number" in the SQL query. As you can see, making a queue and implement its processing is not a super complex task. You just need to implement it once, but then it allows you to kill many birds by one stone, so you can use the solution as many times as necessary. If you liked this article or you have a question about processing queues of pending tasks, post a comment here.